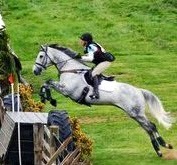 "I have had horses all my life and event up to British Eventing Intermediate level. About 5 years ago, I had three horses but none of my saddles seemed to fit properly. I wanted a versatile saddle that could fit all of my horses even though they are very different shapes. I trawled the internet and came across Solution Saddles; the more I read about them, the more I thought that I should try one. Although treeless saddles were not something I had considered using before, I promptly rang Solution Saddles to arrange a test ride. Following the test ride, I purchased a SMART Jump saddle that had been fitted to two of my horses. The first time I jumped in my new SMART saddle, my horse’s back end flew up and over the fence giving me a feeling I had never had before from this horse; the freedom I felt behind was extraordinary. I liked the SMART saddle so much that I never used my other dressage saddle again and did all my riding in this saddle as it gave my horses the freedom to move. Friends and family began to comment on how well the horses’ muscles were developing and how loose and supple they were, which is testament to the SMART saddle. A few of these friends have now been converted to Solution Saddles - and they have never looked back. I have since bought a SMART SPORT V2 dressage saddle and, as a freelance groom and rider, I use both saddles on all of the horses that I ride. It is such a versatile saddle and every horse definitely goes better in a SMART saddle of any type. 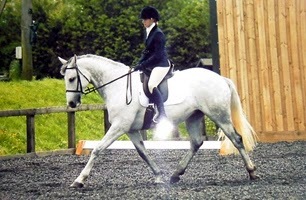 As a qualified Equine Sports and Remedial Massage Practitioner, I have observed that a correctly fitted SMART saddle keeps the muscles supple and elastic and allows them to develop without hindrance, meaning less time and money spent on correcting issues that may have been caused by poorly fitted, rigid-treed saddles. Not every horse can be fitted into a neat little box for saddle fitting, but the Solution Saddles range can be fitted to any type of horse and their comfort is of paramount importance. I too have joined the ‘Solution Revolution’.